When I first met Shri Brahmananda Sarasvati, I remember being amazed at how beautiful his teachings were. At the time, I couldn’t believe anyone had a clue the way he did. During those initial months of learning from him, it was as if he read my mind and was teaching everything that I had been yearning to know for years. About a month after meeting him, the Durga festival, called Navaratri, began. Navaratri is a festival honoring the nine aspects of the goddess. Shri Brahmananda Sarasvati adored this festival. Each morning he’d hold program in the main house temple and would guide us all in chanting many Sanskrit verses invoking Durga. The Sanskrit chants sang her praises and it was healing. I recall feeling completely at home, it all felt so natural. And that was a bit odd since I had not been schooled in anything up to that point in Sanskrit, Indian culture and certainly nothing concerning a guru. Yet I felt at home. Each day in the temple, Shri Brahmananda Sarasvati shared stories about the mother goddess. One day I was with Shri Brahmananda Sarasvati’s long-time devotee, George B., eager to connect and learn more, I chatted with him about what I had been learning and how beautiful I felt it was. George told me that the mother goddess was precious to our guru. He said during one particularly difficult period in our guru’s life, that spanned a few years, a time unimaginable to bear, he had taken refuge at the feet of the cosmic mother goddess Durga. Shri Brahmananda Sarasvati had singularly devoted himself to her, performed puja to her and made obeisance to her, singing her praises and daily honored her. When the time came for the resolution, George told me, that our guru felt Durga Mata had been his refuge, his safety and from then on he was her devotee. I later noticed Shri Brahmananda Sarasvati always kept a small brass murti (statue) of Durga in his bedroom. He had apparently gotten that murti during the difficult time and each morning made offerings to her magnificence. Shri Brahmananda Sarasvati had become her devotee and a mysterious ocean of love flowed between them. Having a guru is a mysterious path… In its fullest sense, it is both close and at the same time will always remain a mystery. Early on in my training, as any student would, I wanted to know more about my guru, more about our connection, more about our link. As I deepened in my practice and in my relationship with him, I learned to allow the mystery to exist between us and to trust in that. Maybe that’s what Shri Brahmananda Sarasvati did during that period when he was struggling and working to evolve himself. Perhaps he learned to trust deeply in Durga Mata, in the mantras and the puja, in the rituals that guided him, in his questions and the answers that rose within, but mostly in the mystery of the force that lay between them. This May join Manorama & friends for the Luminous Durga Urban Retreat in New York City, where Manorama will share the blessings of the Cosmic Mother. 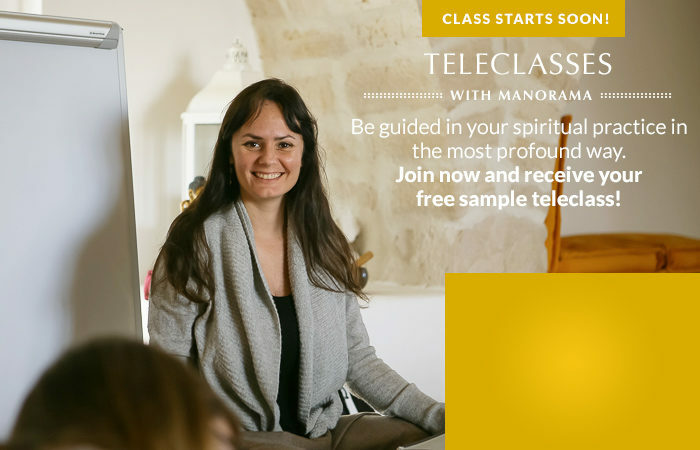 Be nurtured and guided as she weaves stories from her own lineage about the Cosmic Mother, leads chanting of Sanskrit mantras to the goddess, and unfolds the mythology of this divine shakti. Each day we will practice Luminous Soul Meditation to restore your system, there will be immersion in Luminous Soul Method Teachings and chanting. 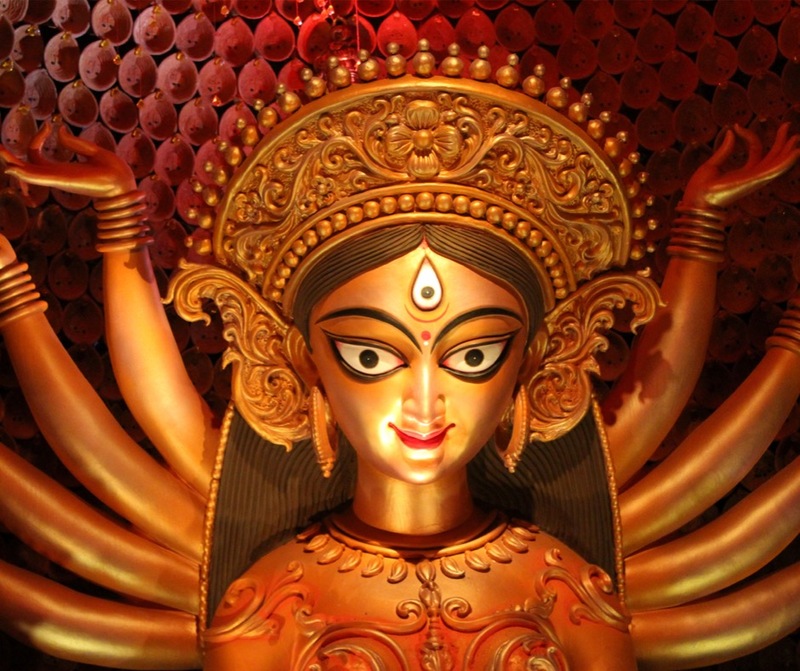 Join us and learn how Durga Devi is profoundly connected with the Luminous Soul Lineage. Make new friends and share time with old ones. Grow your connection with lineage. Ground in the wisdom of the Luminous Soul Method.